This is a wonderful photo of the Ipswich River taken by Ipswich photographer George Dexter in 1906. 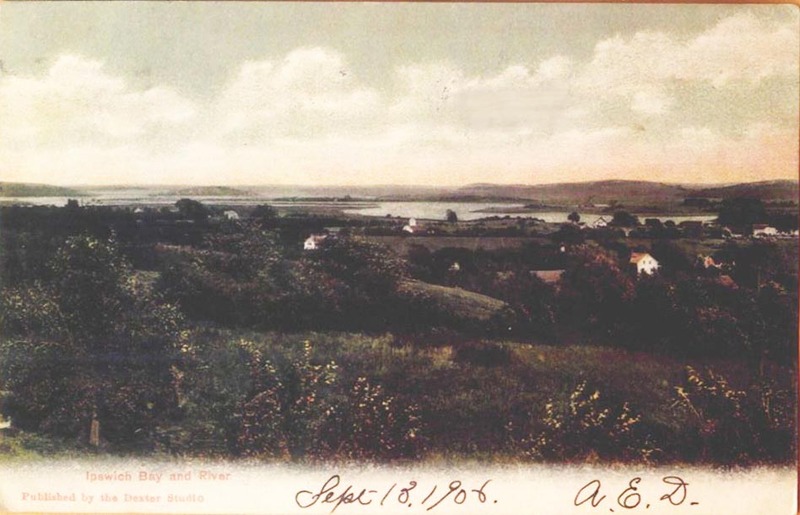 He was standing on Bayberry Hill near the top of Spring Street where Arthur Wesley Dow had a studio. A bit of Little Neck is visible on the left with Treadwell’s (aka Perkins) Island to the right of it. In the far distance is Halibut Point in Rockport, then Castle Hill, and finally Heartbreak Hill on the right. The houses in the foreground would be on Jeffreys Neck Road or Newmarch Street.